Clam for the internal fixing of photovoltaic panels. Height adjustable according to the height of the solar panel frame: 30 - 50mm. 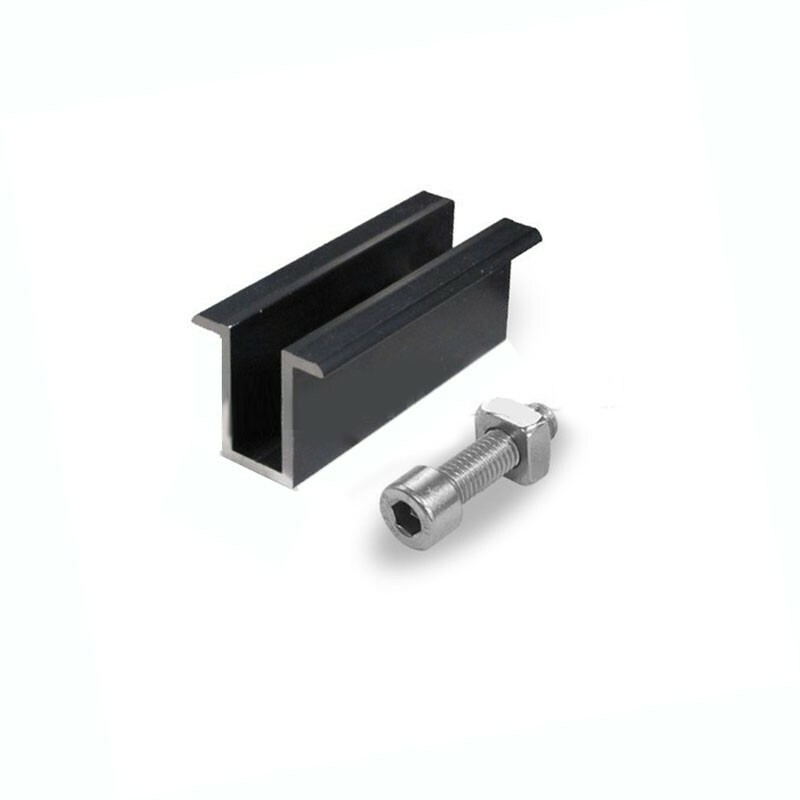 Attaches to aluminum rail with stainless steel bolt and nut (supplied). Choose the height of the clame in the options before ordering.